A fantastic curry that turned out just like the one I had at a local Indian restaurant recently. It is a really full flavored curry thanks to the coconut milk which a lot of recipes I have seen often don’t use. I really like the moist chicken texture of this curry and the fact the rest of it is not all mushy like a stew. Not that I dislike stews or anything but sometimes it is nice just to enjoy the favour of something. Even if you do not have a lot of experience cooking Indian cuisine this curry is something that you will have no trouble at all with. If you are introducing your family to curries then just increase or decrease the amount of curry powder you use. 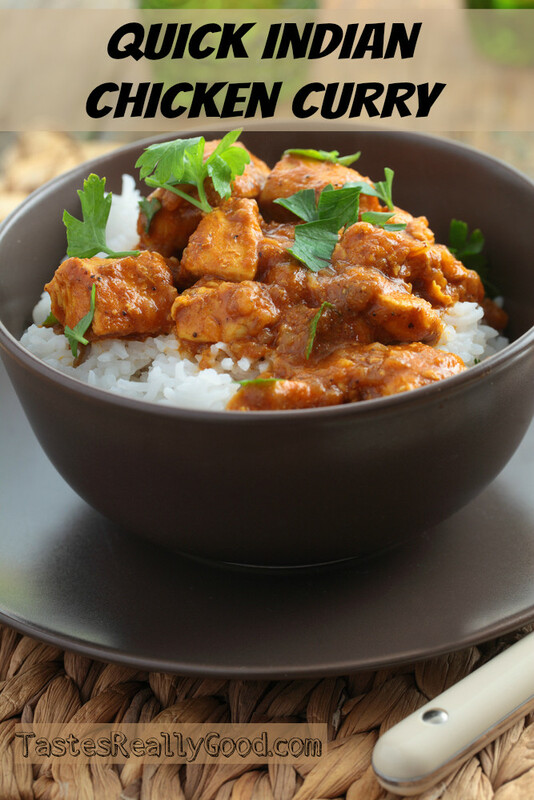 Three tablespoons as this recipe calls for will make a HOT curry if you use a strong curry powder so keep that in mind. Serve with some nice saffron rice or alternatively dice some potatoes and mix those in with the curry itself. This recipe makes 4 to 6 serves of curry and is ready in just 45 minutes. Heat olive oil in a skillet over medium heat. Sauté onion until lightly browned. Stir in garlic, curry powder, cinnamon, paprika, bay leaf, ginger, sugar and salt. Continue stirring for 2 minutes. Add chicken pieces, tomato paste, yogurt, and coconut milk. Bring to a boil, reduce heat, and simmer for 20 to 25 minutes. WOW! This was a very impressive dish. I was too lazy to go to the store at the last minute for the tomato paste or bay leaf; and my greek yogurt was no longer any good. Considering all these issues, this dish turned out great. I used a teaspoon of xanthum gum made into a slurry to thicken up the sauce a bit. (I’m a low carber). This dish was DELISH! It wasn’t bland or lacking in flavor at all. It was authentice Indian restaurant quality. Pinning this page on my Pinterest. Thanks! This is not only easy, but yummy too.